wow...what a gorgeous looking cake!!! Soft & spongy & buttery!!! Bookmarked..I have just got to try this soon!! Cake looks super yummy priya!!! your cake looks wonderful and so soft. Priya, the cake looks so moist and perfectly baked! wow it looks so yummy...perfectly made. super moist cake,love the cinnamon topping also!! Never tried baking without eggs... but this looks so soft, moist and fluffy. Delicious. But it's super moist and yummy minus eggs...cheers Priya. lovely cake..Butter cake is one of my fav ! I big slice of this cake would be so good with my tea right now. Yummy! Looks awesome, had a nice time baking and eating it too..
Soft spongy and yummy looking cake...perfect..
Great with tea and looks very moist! It looks great and delicious, nice idea to use yogurt instead of eggs. Lovely cake! Looks moist and soft! Cake looks so soft amd moist....perfectly baked. I've never tried an eggless cake before, but this looks so good. I must try it! 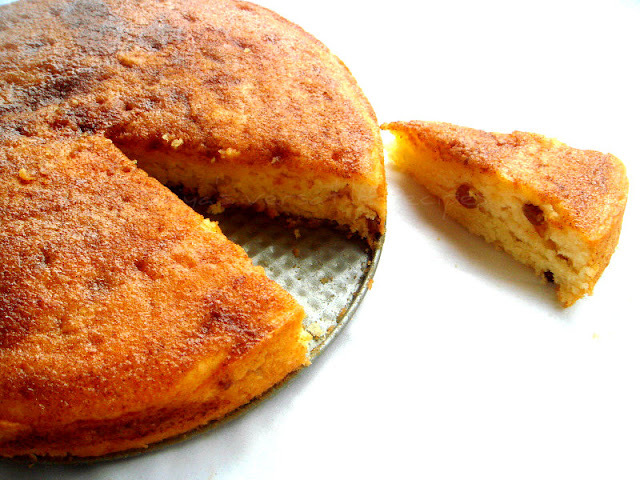 Moist and buttery cake,love the texture. Perfectly moist cake, a slice of it would go very well for an evening snack.